We’re all consummate professionals, members of the RICS or equivalent, but with a creative individuality which when brought together makes us the best in the business. As one of the founding partners of Alliance Investments, Matthew has over 12 years of international experience in the commercial and residential property sectors having previously worked for two of the worlds biggest Real Estate Consultancy firms, CBRE and Cushman & Wakefield. 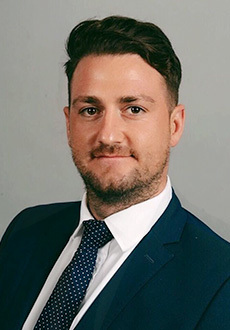 Matthew has a bachelor of Science degree with honors in Property Development and has been an active Member of the Royal Institution of Chartered Surveyors (MRICS) since 2006. Tom first established Alliance Investments Ltd as the overseas residential sales arm for Alliance in 2013. Tom now focuses on the development of the Asia region for Alliance Investments, given his experience working in China for over 3 years. Tom graduated in Shanghai with a Masters of Business Administration, giving him an exceptional local knowledge of the Asia region and related market. With a career spanning over twelve years in Real Estate and as a Stockbroker, Ronald has a wealth of strategic experience to help clients both execute and achieve their investment goals. Since working in the Real Estate sector Ronald has facilitated over $250 Million of transactions with investors both domestically and internationally. Beth has worked in the residential property sector for over 9 years. Previously working for an estate agent in Manchester, Beth specialised in improving their conveyancing process before moving on to a property investment company, implementing systems and streamlining procedures. Beth joined the Alliance Investments team in 2016, applying her wealth of experience and knowledge in the sector to the global operations of the business. Arik has over 14 years of sales and management experience in the property investment industry. He specialises in a variety of sectors including deal acquisitions, development sourcing, portfolio analysis and financial planning for his clients. Arik has dealt with a variety of major institutional and individual investors and has assisted his clients in acquiring over £120 million worth of investment property. He graduated with a BA honours degree in Business Studies and Marketing. John has over 15 years’ experience as a qualified accountant including roles in the UK, Australia and China. He has worked for the wider Alliance Group for over five years and joined Alliance Investments in June 2017 as Financial Director to oversee all financial and regulatory aspects of the business. Chloe received a Masters degree in Management from The University of York. Given her experience in UK and Chinese real estate investment, she is now managing Alliance Investments’ operations for SE Asia and China. Alex has over 11 years of experience in the commercial and residential property sectors. Alex previously worked for a niche surveying practice in Manchester, specialising in commercial property. He then joined Property Alliance Group in 2011 as a Development Surveyor before moving across to Alliance Investments in 2015. Alex has a bachelor of Science degree with honours in Business Management and a Master of Science degree in Commercial Property Development. Conor has extensive experience working in real estate markets in the UK, Hong Kong and the Middle East. He has a Bachelor of Arts degree in Communications from The University of Leeds and is a member of the Chartered Institute for Securities and Investment (CISI). James has over 6 years’ experience specialising in residential and student property across the UK & UAE. Previously working from the Middle-East for 4 years, he now solely focuses on sales of residential developments within Property Alliance Group’s ever growing portfolio. James graduated from Leeds University with Bachelor of Arts degree in Business & Marketing. Jake has been working in the GCC for the last 5 years specialising in UK residential property investments. He is a specialist advisor to expat and local UAE clientele working in the MENA region. Jake is a key figure behind Alliances' routes to market include Private Banks, Wealth Management & Real Estate Advisory. In 2012 Mallam received an RICS accredited degree in Property Investment & Finance. Immediately after graduation he was employed by one of the world’s largest property consultancy firms where his primary role involved buying & selling land for mix-used development. Mallam has over 7 years’ working experience in the UK real estate market and has excellent client relationship skills, with his clients ranging from blue-chip companies to high net worth individuals. Mallam now heads up the Alliance Investments Hong Kong office and oversees operations on the ground in the region. Jacky joined the Alliance Investments Hong Kong office in 2018 bringing with him experience working in the Malaysia real estate market, where he focused on the sales of properties in SEA countries and the UK. As a highly proficient speaker of English, Cantonese, Mandarin and Malay, Jacky is ready to offer local investors consultations in the language they are most comfortable speaking. Jacky holds a B.A. (Hons) in Linguistics from the City University of Hong Kong and an M.Phil. degree from the University of Oxford. With over 5 years’ experience in residential and student property across the UK, USA, Australia and New Zealand, Flora has achieved the top sales performance in both the quarterly and yearly reviews. Flora is now in charge of the direct sales team in China, consulting with key clients and advising on how best to achieve their investment goals. She has a Masters Degree in Strategic Marketing from the University of Glasgow, UK. Alvin comes from a diverse real estate background covering Singapore, Malaysia, UK & Australian residential markets. He has finalised over £80 million worth of real estate investment in the past 6 years representing some of Singapore & Malaysia’s top property developers. Alvin speaks 4 languages (English, Mandarin, Cantonese & Malay) and currently spearheads Alliance Investments sales & marketing business development in the Southeast Asia region. Mabel has a wealth of administrative experience in many different sectors, providing administration support in Catering, Accounts, Sales and Operational Departments. She joins Alliance from a FTSE 250 Information Technology Firm with a pivotal administrative role in supporting the company’s executives.